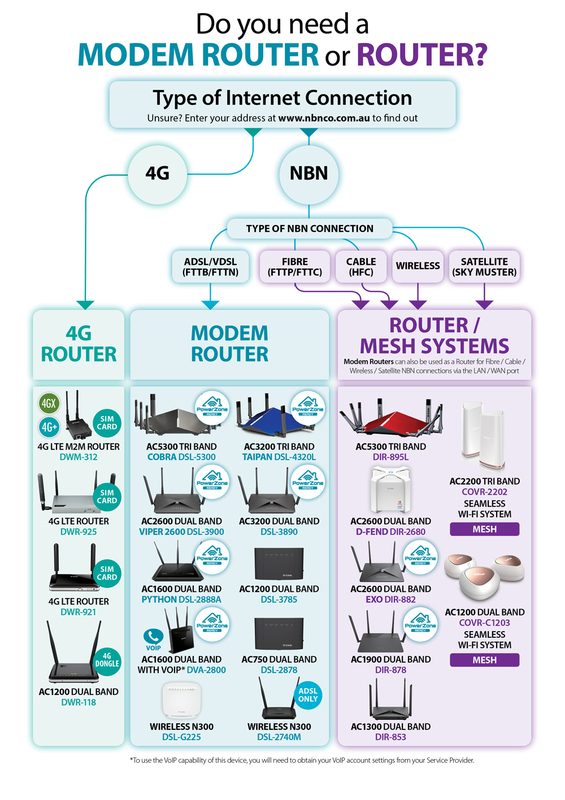 Whether you have the latest ultra-fast NBN connection, or an ADSL or VDSL Internet connection, you can enable so much more than just High-speed Internet access with a D-Link Modem Router. 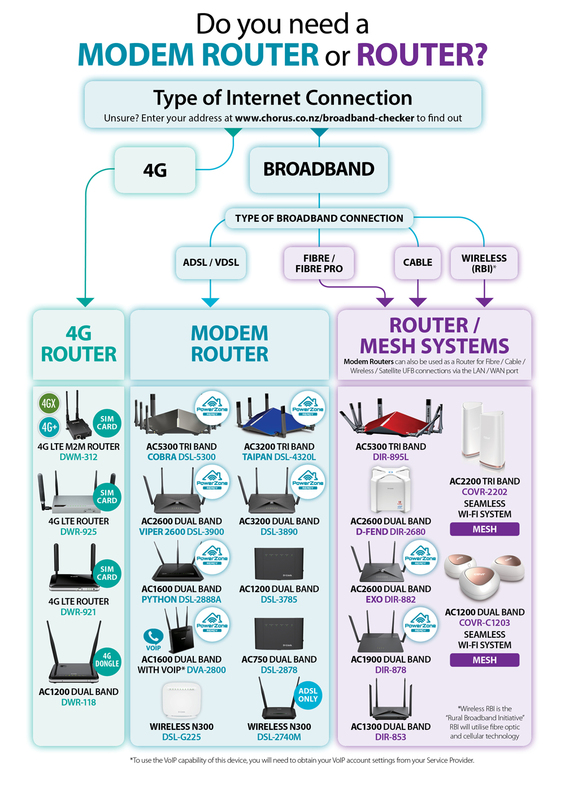 With some of the fastest and most awarded Modem Routers on the market, D-Link offers a variety of models with advanced features such as SmartBeam Forming, Smart Connect, Tri-Band and of course, the fastest Wireless AC speeds available. Our products have been specifically designed to enable the best Wi-Fi experience yet around your home. Of course, all of this advanced functionality needs to be as simple to use as possible, so D-Link goes the extra mile to give you one of the most user-friendly interfaces in this segment, with easy to follow setup wizards, and even mobile app based setup options.